the way it invites me into and experience the painting in a very special way. curious as to what your pieces called “Precious” and ” Jellyfish” are priced at. Thank you for your kind email. I apologize for the delayed reply- I am currently exhibiting at the interior design show IDs West until Sunday. I have Jellyfish here on display. It is 30″ x 40″ and is $2500. 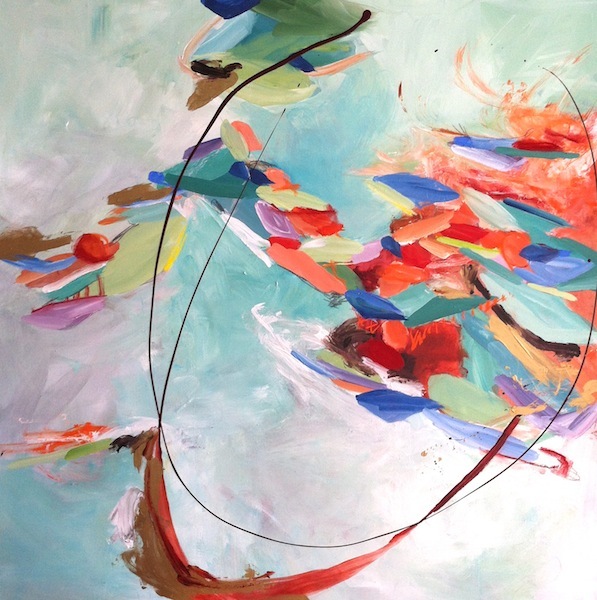 Precious is 36″ x 36″ and is $2600, available at Art Interiors in Toronto. I’d be happy to show them to you at my studio at Parker Street after the show or at the IDS West show if you’d like to come by.